The Higgins Hotel of Glenrock, on the National Register of Historic Places, was built in 1916. Maintaining the character and history of the Higgins Hotel, and the staff hopes that you will enjoy the historic luxury that they have worked to capture in their rooms, suites and public areas. The third floor or ‘Centennial Floor,’ has five bedrooms, a shared bath facility and a large living room that is configured as the hotel was originally designed. “Our Centennial rooms are perennial favorites of the many hunters and outfitters that visit the hotel annually in pursuit of the great hunting the area affords,” The Higgins Hotel says. The Jack & Josephine Suites, named after the hotel’s founders, Jack & Josephine Higgins, contains two bedrooms and one bath. These suites join several others in the hotel. Flat screen televisions join the historical restoration of the guest rooms, and free wifi is of course a priority! Dining is also a specialty of The Higgins Hotel. “Along with the Antelope Bar and Prairie Kitchen, we offer comfortable accommodations and terrific fresh food and libations for our guests,” the hotel says. (Be sure to order their specialty, their ‘Jugo de Pina de Tejas,’ made with “…the freshest of premium pineapples and the one and only Tito’s Vodka from Austin, Texas,” the hotel describes. (Sign us up!) The bar and dining room are housed in the hotel’s former ballroom, and is a favorite meeting place for local business folks. Sports enthusiasts can delight in the hotel’s flat screen and projection televisions that share regional and nationwide events. Special events are another feature of The Higgins Hotel! Utilize the intimate private dining facilities, the ballroom-turned-dining room, the Antelope Bar, or a large outdoor patio, to host your event. Small corporate retreats, weddings, parties – all have enjoyed their getaway at The Higgins Hotel. “The Higgins staff pledges to make your event with us a special and memorable event,” they add. For more information about The Higgins Hotel in Glenrock, to book your stay or explore their menu, visit their website (ßlink here) www.higginshotel.com, email info@higginshotel.com, or call 307.436.9212. Visit a beautiful area with a charming and historic getaway – equipped with today’s comforts! 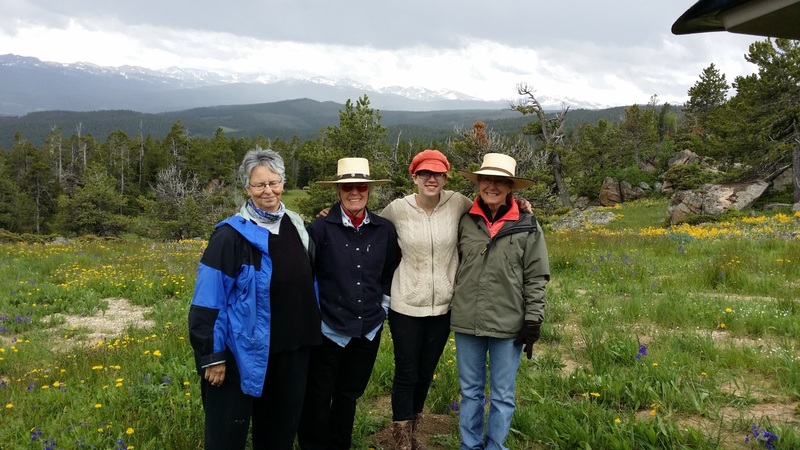 From June 25-28, the first Bighorn National Forest Plein Air Celebrations of Wildflowers was held at Spear O Wigwam, Mountain Campus in the Bighorn Mountains. The spring wildflowers were spectacular and all were inspired. The Powder River Energy Best Artist of the Workshop $400 Cash Award was presented to Gayle Barnett a watercolor artist from Meeteetse, Wyoming. The Hospital Pharmacy, Daily Best Awards of $125 each, were presented to: Ruth Beckwith of Sheridan, Sally Labore of Sheridan, Maya Gilmore of Sheridan and Gayle Barnett of Meeteetse. Next year’s event will be held June 22, – 26, 2015 — All you artists out there, carve out time for this in your summer! MOOSE, WY — Grand Teton National Park will serve as both the inspiration and location for the third annual ‘Plein Air for the Park’ fine art exhibition co-hosted by Grand Teton Association (GTA) and the Rocky Mountain Plein Air Painters. 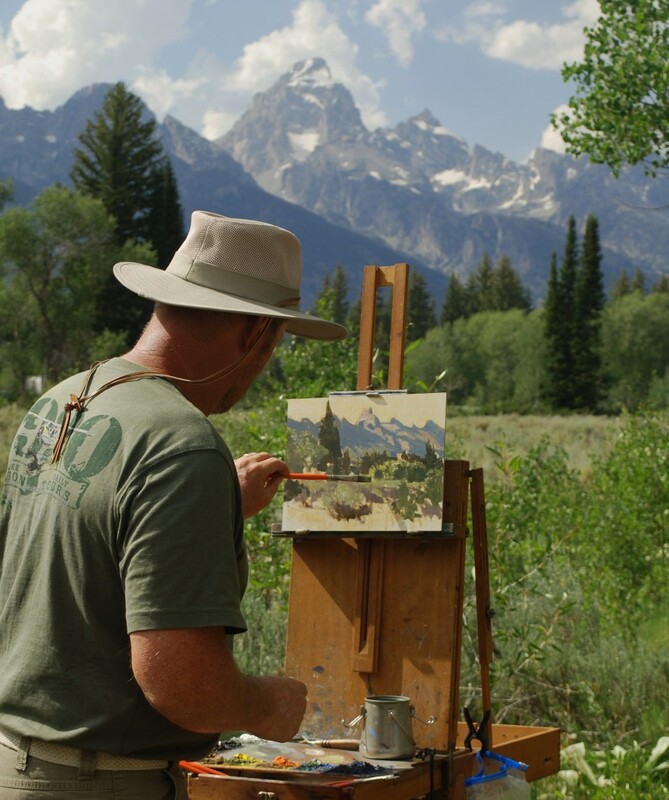 Over 40 professional artists from across the United States will spend two weeks (July 7-20) painting in the park, as they capture on canvas the spectacular Teton landscape, wildlife and wildflowers. All sessions/events are free and open to the public. 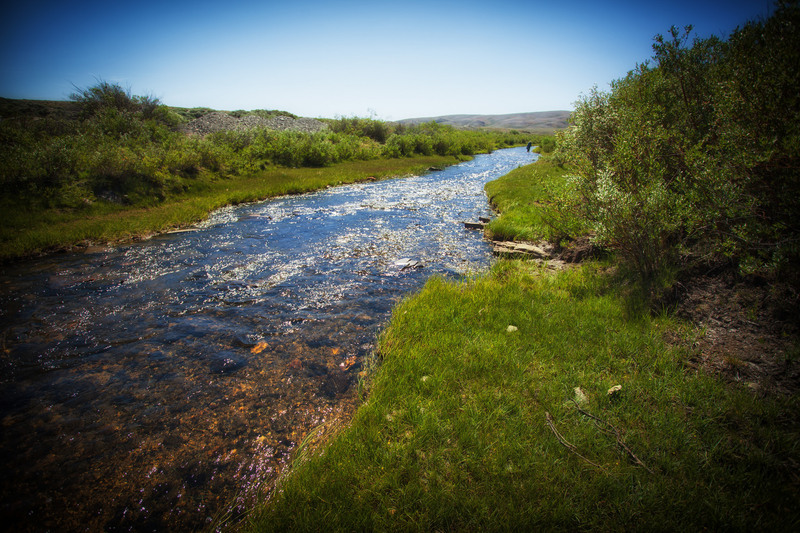 The ‘Plein Air for the Park’ event and art sale will include an opening reception on Wednesday, July 16, at 7 p.m. in the Craig Thomas Discovery & Visitor Center at Moose, Wyoming. A fine art show and sale will take place from July 16-20, also at the Discovery Center. The two-week-long event will culminate with a quick draw at 9 a.m. on Saturday, July 19, in the Menor’s Ferry Historic District. Park visitors and local residents are invited to watch paintings created from start-to-finish. All paintings may be purchased for a fixed-price immediately following the quick draw. Forty percent of the proceeds from sales made during ‘Plein Air for the Park’ will benefit GTA and help fund ongoing educational, interpretive and scientific programs in support of Grand Teton National Park. Artists paint in and around Grand Teton National Park and Jackson Hole. Full exhibition opens to the public. Reserve works will be available for viewing and purchase. 9 AM – 12 Noon: Menor’s Ferry Historic District/Chapel of the Transfiguration. Sale immediately following. Never mind that this section of creek had already been dredged three different times. You may notice the hillside on the right as well as the rock pile on the left. Both are tailings from large scale mining operations. More difficult to see is the third pile of remains on the extreme left side of the frame. Never mind that no one in our group really knew the first thing about pulling gold out of a creek. We may have sounded like we did after watching our prerequisite 1000 hours of Gold Rush, and Gold Fever. We may have even looked like we did after purchasing a brand new pan complete with gravity riffles. But, that was the beginning and the end of our expertise.